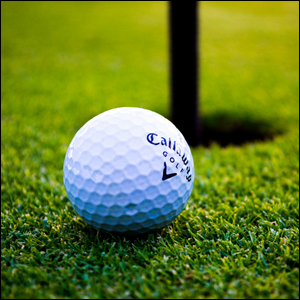 Informally Called “Hole-In-One” Insurance, The Formal Name For This Insurance Is? At a basketball game, a university offers a year of free tuition to a randomly selected student if they can sink a half-court shot. A local car dealership offers a free car to anyone who comes in on a certain day with their mailer and the mailer’s randomly generated number matches the number they draw that day. A company hosts a charity gold tournament with a $50,000 prize for anyone who sinks a hole-in-one. All of these examples are situations where the party hosting the competition, drawing, or giveaway take on a significant risk in terms of the potential for payout, which may leave you wondering if they simply eat the cost or if they keep a cash reserve on hand to cover the chance that someone might win. The significantly more complex and interesting answer is: neither. There is an entire category of insurance called “prize indemnity insurance” designed specifically so that people hosting such events can do so without incurring significant risk. While there are sub-categories such as “conditional rebate” (e.g. a furniture store runs a promotion stating that if the Cubs win the World Series, then everyone who bought furniture in the seven days leading up to the final game gets their furniture for free), the general insurance is often informally referred to as hole-in-one insurance because golf contests were one of the first examples of prize indemnity insurance and certainly one of the most frequent reasons people purchase it. That might seem like a small amount of money, but the odds of an amateur golfer hitting a hole-in-one under those conditions are roughly 1 in 12,500. The insurance company knows that the chances of success are low and they can accept the insurance fees from hundreds (if not thousands) of contests with very little risk of anyone sinking a hole-in-one at all.